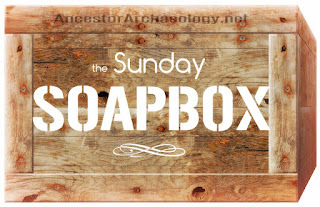 Ancestor Archaeology: the Sunday Soapbox | Responsibility In Genealogy or Please, Stop! 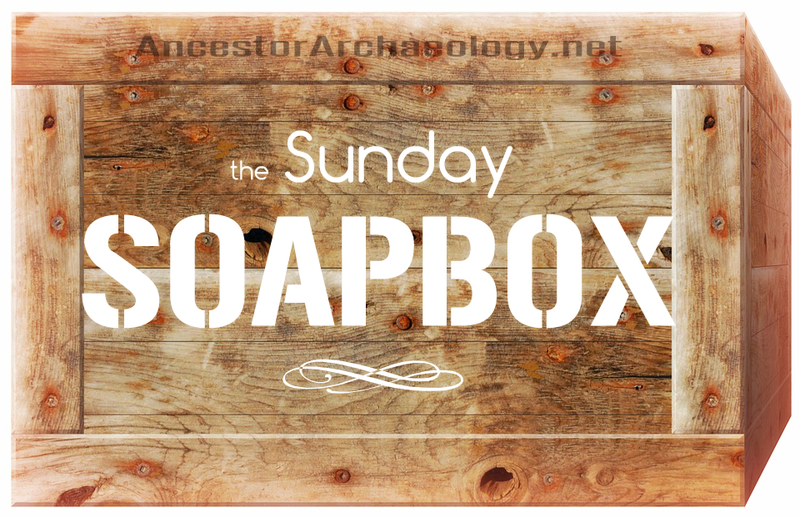 the Sunday Soapbox | Responsibility In Genealogy or Please, Stop! Earlier this week I was greeted with an inbox message from FamilySearch detailing the weekly changes on my watch list. "Recent Changes In Family Tree" it was titled. Now, usually I glance at these but nothing raises the alarm flag. Argh!!! adamjerrypeters1 what are you doing?!? Yes, I hoped that adamjerrypeters1 found Samuel's actual birthdate, christening record and wife's surname, among all the changes he preformed. I was wrong. Of course I was wrong. adamjerrypeters1 was being helpful. Merging some names that were similar enough. Deleting other's that no longer fit the new family. The reason given for the changes? "updated info". That's all. No other explanation, AND none of it was sourced! The 'new' Samuel Faulkner was born and christened in England in 1741, death date UNK. Wife? Martha, daughter? Ann. Married? Yes, in England. Sources? NO. The 'old' Samuel Faulkner was born in New York in about 1740, died in New York about 1811, son Col. James Faulkner. Source? 1. As for deleting Col. James Faulkner? I just don't know. adamjerrypeters1 replaced him with a James Faulkner also born in 1779, wife UNK, two children (maybe) one born in Nova Scotia, one born in Massachusetts. Then he tried to link Harrison Faulkner, born in New York as another child. I don't know. I have no words. I eventually restored it, left detailed notes and added a few more sources to be on the safe side. I wondered what other messes adamjerrypeters1 left around FamilySearch. And, if no one is watching, will these 'improvements' become 'truths'? Normally I leave a wide berth around all of the community trees. Geni is the worst of them. I have dabbled in WikiTree, I had not yet really explored FamilySearch, but I did expect more from them. I have strong, but mixed feelings about all of this. My frustration with all the bad research made public, the abandoned trees, the just plain nonsensical reasoning led me to choose to keep my research mostly off-line. I do keep a private online tree at Ancestry and at FindMyPast. I plan to go 'public' with my Faulkner tree now that the research is solid. This mess of public trees was the driving force behind my decision to start my blog. A place where I could document my research publicly, but where I remained in control. Just coming off a week of intense education in the form of BCG's Free Day of Quality Education webinars, I was reminded that we must be mindful in our work and to practice responsible genealogy. Genealogy, once the hobby of grandmothers and the academic crowd. Researching pedigrees and descendants of nobility. Serious stuff. Not a lot of fun. But genealogy IS fun. And the World Trees make it more inclusive than ever before. It's fun to put your family history up on Ancestry, FamilySearch, WikiTree, etc and find cousins and kin you didn't know existed. And we've all made some rookie moves, okay lots of rookie moves, when we first started out. We had to crawl before we could run. So, how do we encourage these enthusiastic 'helpers' without chasing them away? How do we keep the public research as accurate as possible? I don't really know. Maybe it's something that just needs to work itself out. But please, I beg you. As tempting as it might seem to 'help' out and 'fix' a few things, it does so much more harm than good. And someone, somewhere is left to straighten out your mess. When they had better, more productive things to do.